The first time I tried bathing the girls together, I made sure that my hubby was around. I thought that it was best I had someone close by, just in case I needed a little help. Thankfully, despite my worries, I didn't need his help after all. He simply sat downstairs watching the cricket on TV, which I'm pretty sure kept him as happy as Larry! The awesome Summer Infant waterfall baby bather has definitely become my number one 'must have' for me when it comes to bathing my girls. There was a number of things that worried me about bathing my girls together. Thanks to using this fantastic waterfall baby bather, however, these have completely abated! When we had our first daughter, we bought a baby bath. This was one of the largest, most cumbersome items we invested in. I'm not going to lie though, we didn't use it for long before we decided it was a waste of time and ended up using the full-size bath instead. The only problem when it came to using our bath was the fact that we would still need to support her, even when we were using our support sponge, as we obviously we needed to keep her head above the water. This would, however, leaving us one handed when it came to the rest of the bathing experience, unless we bathed her together. This is not a problem with the waterfall baby bather! When I placed Little L into the waterfall baby bather she was fully supported, and the angle of the bath meant that I didn't have to worry about keeping her head above the water. The removable bolster is not only comfortable for her, but it stops her from slipping off. As she starts to move a bit more and becomes a bit more independent it will still be just as useful, as it designed to hold her until she can sit unaided and independently. Having her fully supported means that I am free to use both my hands. This is great as I need them in order to wash my girls. Not just that but having two hands is always better than one when it comes to keeping my excitable toddler from full on bouncing on her baby sister! Another worry of mine, was being able to keep my baby warm. Having to constantly pour warm water over you baby with a cup is a bit frustrating, but essential to stop them getting ill from the cold air when they are partially in the warm bath. I needn't have worried, as there is a reason this bath is called the, "Waterfall Baby Bather". Once you pop two C sized batteries inside it, it circulates the water, safely cleaning and warming your baby without having to use a cup to create the same effect! Having my worries abated by this awesome waterfall baby bather made bathing my girls so much easier. I was able to smile, and laugh and enjoy the time with them, something I didn't think was going to happen, at least not until Little L is big enough to hold her own in the bath and splash her big sister back! Alongside using the amazing Summer Infant Waterfall baby bather there are a few other items that make our bath time easier. I use a themometer to make sure the water is not too hot, something that is essential when the water is going through the waterfall part of the baby bather, as it will be running over my baby. Although we have got a Philips Avent flower shaped one that we can use, we got a Disney one from Poundland for Little L's stocking at Christmas and that works just as well! To wash my children, I use gentle baby-safe toiletries. Although, like many parents, we have a selection of Johnson's baby products we also use the Cussons Mum and Me baby range. I have to admit, one of my favourite smells is the Johnson's baby shampoo, even if the yellow colour seems a bit strange! We also have a Dalu Taphat that we use at bathtime. 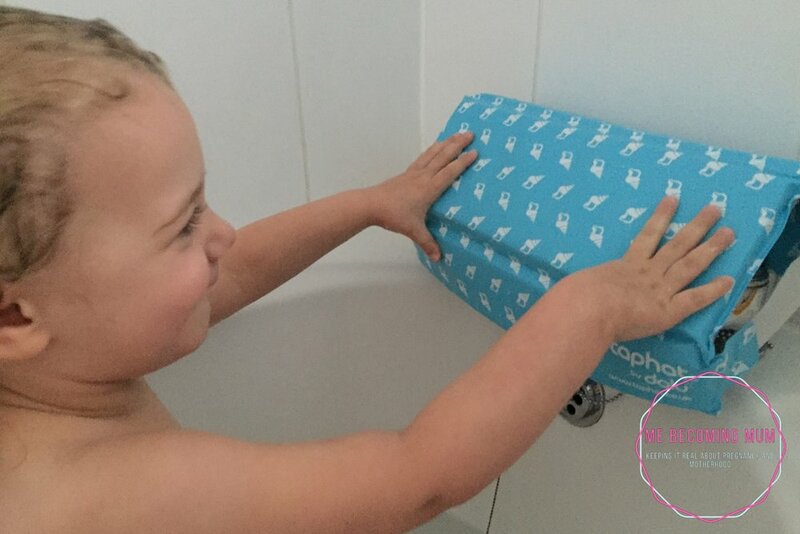 It is a fantastic way to protect your children from the potential hazard that taps present; whether it be from hot metal where the boiling water travels through it when you are running the bath, or simply the possibility of bumping into hard metal objects. If you want to invest in a Tap Hat for yourself you can pick it up on Dalu Solutions website or on Amazon here . 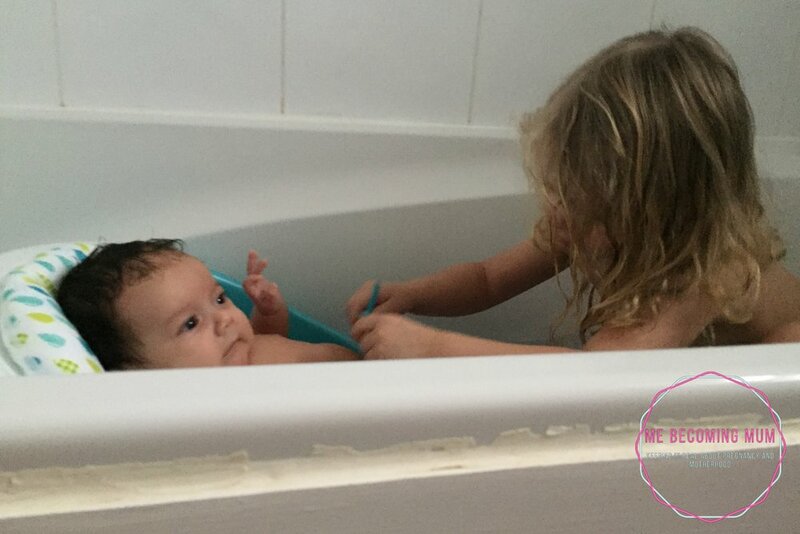 Having the right gear when it comes to bathing your children in the full-size bath makes it a heck lot easier! We only have two hands after all; and when you have a lively toddler and a wriggly baby, you need as much help as you can get to make things go as smoothly as possible. The rest of our bedtime routine is much easier. I blow dry their hair (on low heat of course!) and we have snuggles in towels before I get them dressed. R adores her baby sister, and this post-bath snuggle time is always enjoyed by her. She is super cute too, often wrapping her own towel around Little L, to make sure she doesn't get cold. After a bit of no nappy time for Little L while I get her sister dressed and ready for bed, we will read a bed time story, say our prayers, and sing a song. Every night, R is desperate for her little sister to stay and go to sleep in her bed. For now I convince her to have a cuddle and say good night and take Little L to her own bed. Seeing how much they adore each other I am sure that in the future I will have both of them begging for sleepovers together, but that is some time in the future. I love our bedtime routine, and I am so glad that bathing my two girls has definitely not been worth the worry I had prior to the first time I did so. 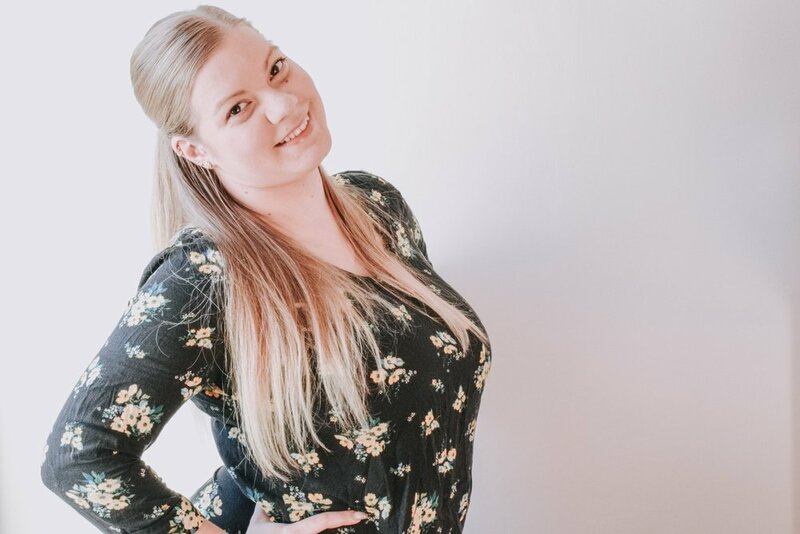 I am so grateful to have the waterfall baby bather to support Little L and help me keep the bedtime routines that I have always endeavoured to have with my daughter, even though I now have two of them! For your chance to win one of five Dalu Solutions Tap Hats, click the Rafflecopter link below and follow the instructions. This giveaway is your chance to win one of five Tap Hats; and is run by Me Becoming Mum in conjunction with Dalu Solutions. The giveaway closes at 12.00am (GMT) on Friday 31st March 2017 and is open to UK entrants only. Please note that your comments on my blog may not appear immediately as they require moderation prior to publication, and must have a minimum of five words to register as non-spam comments. Check out my Terms and Conditions page for full details. 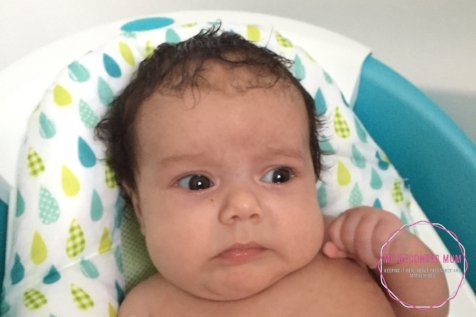 Disclaimer: The lovely team at Summer Infant sent me one of their waterfall baby bathers for my daughter, in return for an honest review. I was also sent a Taphat by the Dalu Solutions team. The review words and opinions are my own. All photos are copyright property of Me Becoming Mum.